As an African-American man with a visible disability, Dennis predated today’s discussions of diversity in tech by a generation. He worked in the dot-com era. Many times, when he took the train to his job in Silicon Valley he was given free fares because people found it so remarkable that a blind man was going to work at all. 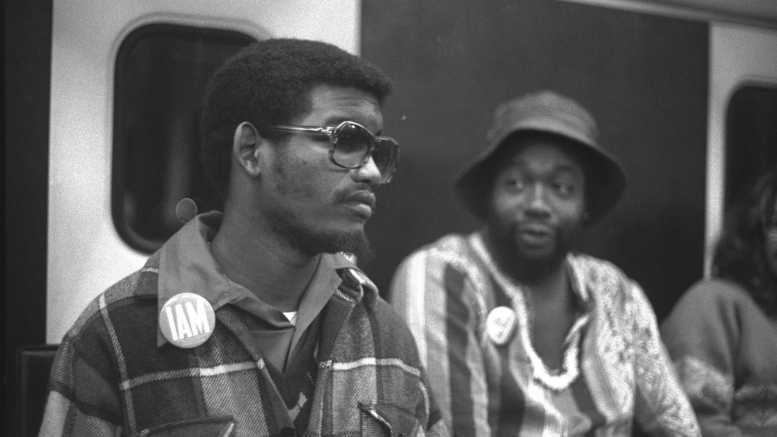 A participant in the 504 occupation of the San Francisco Federal Building in 1977, he has long been an activist who focuses on increasing economic power for disabled people [click to view our oral history interview with Dennis to learn more]. Since working as a telephone operator and information specialist for various Silicon Valley companies in the 1990s, he has first-hand experience with the effects of gentrification, the changing skillsets required in today’s tech world compared to thirty years ago, and ideas around people with disabilities. In each area, he finds both positives and negatives. Students for Access also sees the chance to do something for disability, and aims to improve the employment situation for people with disabilities in tech through our summer project. We thank Dennis for sharing his story with us. Dennis Billups during the 1977 504 sit-in.